CFC free polyurethane with 1-3/5 inches foamed for durability and energy efficiency. 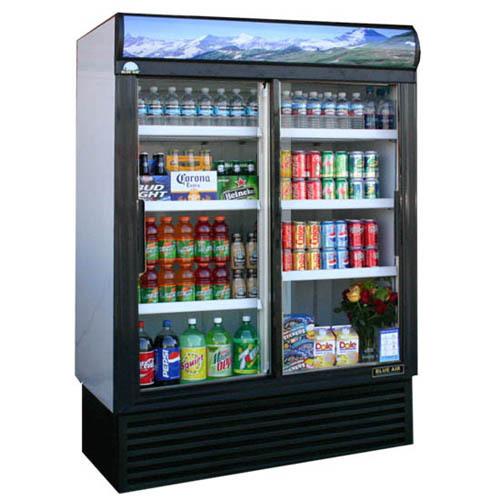 Cabinet exterior is made of the best quality coated steel. refrigerators systems are equipped with interior vertical flourescent lights. Double pane glass door system with a layer of patented transparent, thermal insulation film applied between the layers of glass provides superior insulation without the weight of a triple glass system. Less weight contributes to less wear of the door rollers and less overall door maintenance. Refrigeration units use R134A refrigerant to maintain a healthy ozone.